A standardized secondary security layer using XML protocols that relies on a triangulated network of data connections to the three parties involved in a payment: the card issuer itself, the consumer, and the company accepting payment. Potential customers who walk or click away without completing the final purchase or sign-up, for whatever reason. An Acquiring Bank works for Merchants to process payments, such as credit, debit card, or other exchange Transactions, for their sales, goods, and services. A method that guards against credit card fraud by checking the address that the customer has provided against the exact address that the issuing bank has on file for that card, particularly the street address and the zip code. A user interface, usually a collection of graphic reports, where workers of a company can customize, view, or collaborate on shared business data such as overall sales, volume, approval ratios, Conversion per User (CPU) rates, and traffic. The part of the credit or debit card number that works to identify the bank or financial institution that will process the transaction; the first six figures are assigned by VISA and MasterCard for this purpose. A list of countries specified by the Merchant that should be excluded from the business transactions. These can be specific to address of billing, shipping, or BIN. The processing period between two billing statements, normally consisting of seven (7) days. A set of data elements collected from previously known deceitful transactions–IP addresses, for example–that can be used by the Merchant or a processing bank to create filters that flag or block an incoming sales event. Also known as SWIFT-ID, BICs can be assigned to both financial and non-financial institutions to provide an internationally standardized structure of 8 or 11 characters that quickly identifies not only the institution but their exact location, such as a branch office number, for payment and identification purposes. The first step in receiving payment for goods or services already contracted and delivered as promised. Capture may be instigated by either party, but funds will not be available to the Merchant until Settlement is complete. Permission from the cardholder’s bank to transfer funds to the Acquiring Bank, given only after verification 1-of an authentically presented request for a transaction, such as a security code from a physical credit card, and 2-of sufficient funds in customer’s account. A card-based Transaction, such as one performed by telephone, fax, mail, or internet e-commerce, in which the card is not physically available to the Merchant. A specific operation allowing a bank to show the pre-approved amount as unavailable while still in the cardholder’s account until Capture has been reported by the Merchant. A Transaction for which both the credit card and the cardholder are physically co-present with the Merchant for the sales event. A way to verify that an approved card is being used for a Transaction. CVV1 cards have a magnetic stripe that can be scanned on “Card Present” purchases; CVV2 cards employ an additional 3- or 4-digit identification number printed somewhere on the card itself that can be reported for e-commerce or telephone sales. A process in which funds are returned to the customer or cardholder, normally when the customer files a dispute or the Issuing Bank investigates a complaint. A Chargeback may be presented against the Merchant’s account by the Issuing Bank with no attempt to first settle a dispute. It then falls to the Merchant to dispute the Chargeback. An alphanumeric string of text provided to the Merchant by the card’s Issuing Bank that explains why the Chargeback is being presented. A credit card that is issued by a bank but jointly sponsored by a third party, typically a Merchant, who provides extra points or benefits to the customer who uses it. The Merchant’s tool for integrating all of their products and services with Payspace payment solutions. The point when the recipient of a marketing message actually completes the action requested in the message, such as when the purchase is completed by the customer rather than being “abandoned” in the shopping cart. Many payment support services offer plug-ins to their Control Panels such as geo-location reporting, Banned Country Lists, restrictions on payments, flags on previous transactions, duplicate charges, or other filters. As well as these customisable rule sets, Payspace additionally provides the data mining module that supports advanced marketing and traffic conversion needs for high-volume sales Merchants. A sum paid in advance of goods being delivered, or money paid into a banking account against a future purchase or withdrawal. A file that is transmitted with an electronic attachment that allows assignment of a personalised key to open it. This feature allows the customisation of the 3D Secure secondary security layer, enabling the Merchant to decide when it should be used, for example, at what price point to ask a customer to provide the answer to an additional security question. A feature that allows selection of individual Application Performance Management services so that clients pay for only what they need. A method of payment wherein the Merchant verifies or pre-authorises a cardholder’s account and processes the cardholder’s funds directly into their own account with fewer processing delays. The paperless transfer of money from one account to another without the direct involvement of bank personnel, using a personal PIN number, and incurring an Interchange Fee that is borne by the Merchant. An alternative is an Offline Transaction. A technology used by the Merchant to authorise a Transaction or to record data automatically at the time of the Transaction that can then be uploaded to other servers or to generate local reports. An agreement between Europay, MasterCard, and VISA to allow their cards to be used on a global payment system. A license to conduct business granted by the Financial Conduct Authority, which in 2013 replaced that granted by the Financial Services Authority (FSA). The fee-based membership license regulates the business conduct of more than a half million companies in the UK. A person or automated system that considers unusual activity based on previous account activity, and flags or investigates accordingly, in order to minimize fraud. A wire-transfer network or clearing house or other system that transfers payments directly between its members or provides a network to pay and receive payments from non-members. Working with geo-IP mapping technologies, this module can create customisable filters that check the data of every Transaction against lists and filters created by the Merchant. Payspace relies on top analysts, coders, and award-winning platforms to create and maintain its self-learning databases, allowing industry-specific no-sale or conditional sale lists to be created around various parameters. Also called a Member Service Provider, an organisation that works on behalf of the credit card company or bank to create new client relationships. Payspace makes it easy to integrate with Acquirers all over the world, providing solutions for online and mobile payments, e-giftcards, and e-wallets that store customers’ data for one-click transactions. Payspace support teams will help Merchants decide on and test services specific to their payment processing needs and will be there to help as the global network expands. A Transaction charge paid by the Merchant to cover the processing costs of the credit or debit card. Used by all accounts in the EU countries plus a few others, this format is standardized to include the cardholder’s account number, the bank’s ID number, and the country of the Issuing Bank, in order to allow for international payment Transactions. With dynamic currency conversion, Payspace makes it easy to receive and send money to email addresses and telephone numbers as well as to banks and financial institutions, depending on the integrated service. One method used to flag potentially fraudulent credit card transactions, comparing the customer’s computer IP country address with the country of the card’s Issuing Bank. The financial institution that granted the payment card account. VISA and MasterCard pay these institutions to provide services to the bank’s customers. Alternative to card-based payments, these methods including e-wallets, vouchers, prepaid or pre-authorised debits all have their own Settlement terms, and all are subject to their own specific rules and regulations. With payment processing in 32 countries all over the world, Payspace allows Merchants to accept such Local Payment Methods as easily as accepting VISA or MasterCard. Used in connection with location-based marketing, these transaction-based incentive offers reward customers who make frequent purchases. Used by many credit card companies when they assign card numbers, the Luhn system includes “check” numbers between the meaningful numbers on the card in order to provide a “check” against numbers being entered by error. An algorithm can then be used to automatically determine if the sum of the numbers entered equals the expected “check” digits. A Transaction that is processed through mail or telephone order and the internet, often used by call or order fulfillment centres. To handle the challenges of cross-border payments and regulatory fees and statutes, Payspace Manager Modules increase efficiency in organizing incoming and outgoing Transactions. A secondary layer of security provided by MasterCard in which the customer has an additional code on file with the Issuing Bank. This code is requested during the Transaction to provide additional security for MasterCard customers. A seller of goods or services that has agreed by contract with an Acquirer/Acquiring Bank to accept its credit cards in payment. Along with a real-time Merchant and Agent Accounts interface, 99% uptime, and 24/7 tech support, Payspace assigns a personal Account Manager to each Merchant who will help build the payment platform that works best for that business. Our international teams work closely together and can answer all questions concerning risk and compliance, as well as general questions of finance and management, and the Account Manager will work to keep Merchants up to date of new opportunities and solutions as they are integrated. The Merchant information needed to begin processing payments should be entered on this form. A bank that is licensed by VISA/MasterCard to provide Merchants with means of accepting credit cards as payment for goods and services rendered. A four-digit number, assigned to the Merchant upon approval of the contract to accept MasterCard and Visa payments, that identifies the Merchant’s business by type and level of Interchange Fees charged. Generated by the Acquirer/Acquiring Bank, each MID is specific to the Merchant and the location of the business that is contracted to accept the credit cards. Merchants can review their own Transactions, set rules, flag users, and perform many other tasks independently, and for questions they still have, Payspace`s tech support team is available around the clock, 7 days a week. A fee paid by the Merchant to the Acquirer/Acquiring Bank. “Negative Lists” that the Merchant has previously created can be imported into Payspace or new ones can easily be made. This authorisation process used for paper checques and vouchers is based on Magnetic Ink Character Recognition technology and employs three sets of three numbers to encode payment routing information about the bank and the specific Transaction. Required of banks in the euro area, the European Central Bank requires credit institutions to hold deposits on account in their own national central banks. These minimums must be maintained subject to the Eurosystem’s requirements. Magnetic card readers can be attached to smartphones or tablets, allowing the device to become a mobile payment terminal. Allows Merchants “on the go” to accept secure Transactions using mobile technology across multiple platforms and devices. Any payment service that is performed using a mobile device or with the mobile device being the Point-Of-Sale recorder. 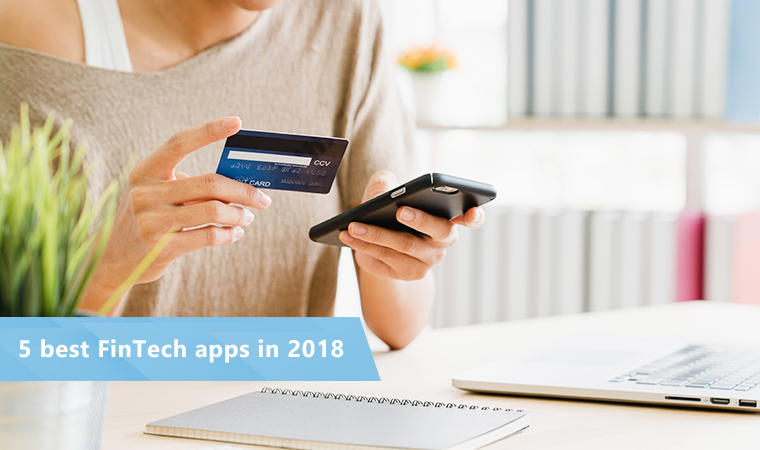 Electronically stores credit and debit card information on a mobile device rather than having to carry the physical cards for payment processing. A set of protocols that allow two devices that are within a very short distance of each other–about 4 cm–to communicate with each other wirelessly. Cell phones, for example, can be used to swipe at a check-out terminal or at NFC Stickers. An adhesive-backed microchip tag that can store small amounts of information useful for Near Field Communication technologies. 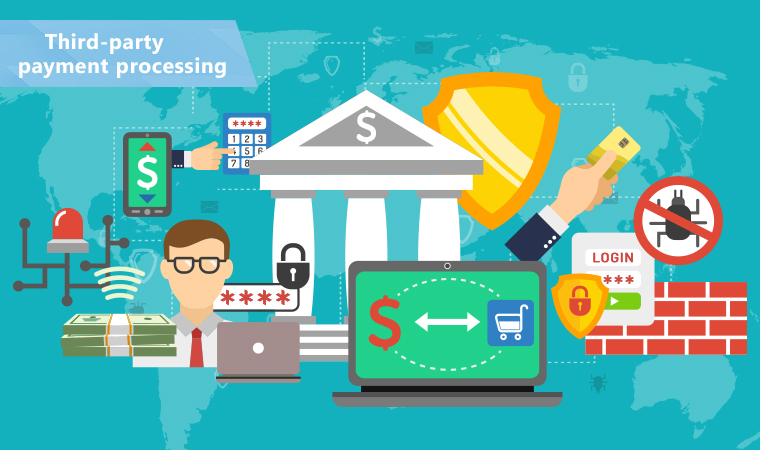 Also known as a Signature Debit Transaction, this debit card processing method avoids the EFT PIN system and its resulting Interchange Fees but may result in delays and additional fraud. A business model that encourages brick-and-mortar stores to be available on mobile technologies, websites, online applications, and social media, in order to facilitate customer service, brand presence, and accessibility. A secure authorisation process relying on Point-of-Sale approval devices and real-time EFT technologies, incurring Interchange Fees. The stage at which payment for goods or services has been received by the processing agent from the cardholder’s bank. A hold of funds on the account against the amount that is intended to be charged, until such time as the Transaction is completed. This process and the fees incurred are specific to the card or account and whether it is a debit or credit card account. A set of policies that Merchants must follow to protect cardholders against misuse of their personal information, specific to wireless transmission of card data. Compliance is confirmed annually, usually by means of a self-check questionnaire to the Merchant. In order to make a deposit or payment, customers input data into an online web based payment page (checkout page), hosted by Payspace. Payspace offers a wide range of online payments tools, both global and local, and supports more than 250 online payment methods. With a single technical connection you can accept most of them through your international Payment Pages. Merchants can customise payment methods or limits in many ways: for single Transactions, for specific elements in a Transaction, or for general groups of items for specific time frames, for instance. A business that provides online Merchants with a Payments Gateway by which they can accept multiple payment methods from consumers across the world. Full-service PSPs not only collect, authenticate, and process payments, they also offer risk management services, reporting, and various levels of fraud protection. Ikajo International uses their own antifraud system, integrated with MaxMind and Ethoca scoring services, to minimize fraud and Chargebacks. They provide real-time support for online payments, mobile payments, and e-giftcards, and they offer the Payspace e-Wallet to allow customers to make flexible and one-click payments with a host of input devices. A Merchant service that facilitates payment between a Merchant portal, such as a website or mobile phone service, and the front-end of an Acquiring Bank or payment solution. A number allocated to a single individual that authorises electronic transactions using the account. PINs are often required at POS Terminals in order to complete the Transaction. Also known as Password Harvesting, the act of posing as a known company in order to trick customers into divulging password or credit card information. By integrating checkout services with more than 250 payments platforms, Payspace provides customers with local forms of payment that they may feel are more secure than international ones while allowing Merchants easy access to their funds, Control Panel, and quick reports. A technology used by the Merchant to authorise a Transaction or to record data automatically at the time of the Transaction that can then be uploaded for collation with other data or to generate local reports. An electronic device at the Point of Sale that can record and transmit authorisation for credit card Transactions, often directly connected by telephone connection to the credit card EFT system. Also known as second chargeback, VISA uses this term to denote the phase immediately preceding Arbitration to determine whether the Merchant attempted negotiation with the customer and whether the Chargeback is further disputed. A card that can be bought with funds already “loaded” onto it and can then be used to make purchases. Prepaid Cards often use PIN systems that allow online purchases as well as POS. The bridge between the Merchant and the Issuing Bank of the customer’s card, often a 3rd party that handles the posting of Transactions for authorisation, the posting of fund requests, the receipt of accounts, pay-outs, Transaction reports, billing, and other services. 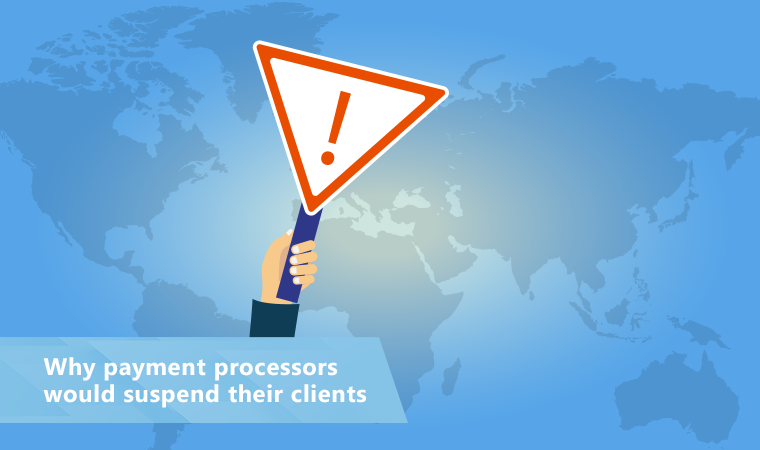 Rather than servicing requests in batches, real-time processing handles individual requests as they are received rather than at some later time, increasing protection against fraud. An alphanumeric string of text provided to the Merchant by the cardholder’s Issuing Bank that explains why the Chargeback is being presented against the Merchant’s account. When sufficient proof is provided to the cardholder’s Issuing Bank that the requested Chargeback should not be granted, a reversed chargeback puts the money in dispute back into the Merchant’s account from the cardholder’s, where it had been returned with the Chargeback. A person who uses knowledge of risk policy, current international country data, and specific Merchant reports to monitor suspicious Transactions. A personal risk analyst can help a Merchant work the Rules Engine to automate fraud-reducing processes and checks. Using Real-time Processing, Merchant-set rules for fraud prevention, and personal around-the-clock oversight, Payspace provides tools that allow the Merchant the freedom to assess risks for themselves and quickly adapt to their own customer populations and risk situations. Allowing the Merchant to set values for all types of possible incoming charge configurations, PAyspace`s agents can also help Merchants to customise the best possible sets of rules for their own risk management and fraud prevention. A testing environment where Merchants can see how functions will behave before they set them on the actual account servers. Normally the final step in receiving payment for goods or services, the Acquirer or Acquiring Bank receives the payment, after which funds are made available to the Merchant’s account. A software module that allows visitors of a site to select items towards purchase that are retained in a cache file until checkout. An initiative that proposes to make payments across countries within the Euro zone as simple as payments within one’s own country. An automated system based on rules criteria of sending payments to the facility that is most likely to authorise the specific transaction. A model of software use as opposed to ownership; individuals use the latest technologies by paying for subscriptions to them rather than buying a single version that will have to be updated and may require expensive patches or constant virus protection. Named for the Society for Worldwide Interbank Financial Telecommunication that issues the identification numbers, the code provides an internationally standardized structure of 8 or 11 characters that quickly identifies not only the institution but their exact location, such as a branch office number, for payment and identification purposes. Through a process that replaces certain data in a Merchant account, such as customers’ credit card numbers, with keys that call up that data from a separate database, Payspace protects Merchants from hackers and attacks on outdated software that are more likely when Merchants store all of their information in one database on their own servers. Technically, an event or activity that can be assigned a monetary value which causes a change in one’s net worth, including a sale to a customer or reporting depreciation of office equipment. The system of money used to perform the Transaction, whether USD, AUD, euro, British pound, etc. The date on which the Transaction actually occurs, useful in tracking and sorting Transactions. Assuming liability for an applicant’s account, thereby guaranteeing payment in the event of loss or damage. With Payspace, customers can store personalized credit and debit card information securely in their online user pages, allowing one-click payments for returning customers with no risk or stolen data from the Merchant’s collection or storage practices. A secondary security layer provided by Visa that allows Merchants to verify cardholders’ identities and flag risk factors while increasing the safety of Transactions for their Visa customers. Typically available as an add-on benefit for existing card customers, this payment method is only good for a limited time or number of purchases and, due to having no electronic stripe or chip, can only be used for Transactions that could be completed as Card Not Present, such as MOTO or telephone purchases. The equivalent of a POS machine, a Virtual Terminal hosted online can be accessed by anyone with an internet connection and can allow instant direct payment acceptance, working like a “check out from anywhere” terminal. A Transaction in which no money has yet exchanged accounts can be cancelled. Most often used in batch payment processes or CP processes due to data entry errors, Void Transactions do not require refunds, only appropriate accounting. A product or service created, tested, and sold by one company in order to be bought and branded by other companies who sell the it under their own name. White Label Solutions can provide more fully tested base product while allowing individual Merchants to customise in other ways, like supplying analytics or additional support, reporting, or use services. The ability to take money out of an account that has been deposited into it. If the funds were due to a sales Transaction, this cannot occur until after the Settlement. Other fees or agreements with the Acquirer or Acquiring Bank, such as Rolling Reserves, may be assessed before funds are released.